The largest increases in base compensation are expected for associates, paralegals and legal secretaries at midsize and small-to-midsize law firms. Litigation support specialists also should see greater-than-average salary gains. Robert Half Legal is a legal staffing firm specializing in lawyers, paralegals and other highly skilled legal professionals. The company's annual Salary Guide is based on extensive research, as well as local and national employment data gathered from Robert Half Legal offices throughout North America. "As law firms focus on pursuing new revenue opportunities, the market is strengthening for mid- and senior-level associates with business development skills, extensive client contacts and experience in high-demand practice areas such as healthcare, commercial law and litigation," said Charles Volkert, executive director of Robert Half Legal. "While salaries have not yet returned to pre-recession levels, many hiring managers are offering above-average compensation and bonuses to attract the industry's best candidates and retain their most valuable employees." Volkert added that many law firms and corporate legal departments are balancing the demands of managing rising workloads with the need to contain costs. "Increasingly, law firm partners and general counsel are bringing in legal professionals on a project basis to access expertise and extra support that may not be available internally," said Volkert. Lawyer Positions: According to Robert Half Legal research, average starting salaries for lawyers are expected to increase 3.2 percent in 2013. The position that will see the biggest rise in compensation is a licensed lawyer with four to nine years of experience at a small-to-midsize law firm (10-35 lawyers). Base compensation for this role is expected to rise 4.9 percent, to the range of $87,250 to $157,500 annually, on average. Lawyers with the same amount of experience at midsize law firms (35-75 lawyers) will see starting salaries rise 4.8 percent, to the range of $119,750 to $178,250 per year. First-year associates at small-to-midsize law firms will earn between $58,250 to $84,750, on average, a 2.1 percent increase from 2012 projections. Corporate attorneys will see average compensation gains of 3.4 percent over 2012. Starting salaries for licensed in-house attorneys with 10 to 12 years of experience will rise 3.9 percent, to the range of $134,500 to $235,500 annually. Legal Support Positions: Law firm paralegals are expected to see average starting salaries increase 3.3 percent in 2013. The position of midlevel paralegal with four to six years of experience at a midsize law firm should climb by 4.4 percent, to the range of $53,500 to $66,000 annually. 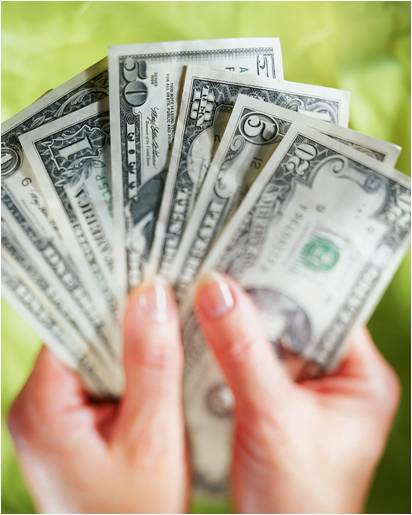 Legal secretaries at law firms can expect average starting salaries of 2.7 percent in 2013. Midlevel legal secretaries with seven to 11 years of experience at midsize law firms will see the highest starting salaries at the range of $49,250 to $61,750 per year, a 3.5 percent increase from 2012. Starting salaries for legal professionals with litigation support expertise are predicted to rise 3.5 percent, on average. Litigation support managers with seven or more years of experience should see starting salaries increase by 4.4 percent, to the range of $78,500 to $111,250. Compliance managers can expect average starting salaries to grow 3.4 percent, to the range of $68,750 to $104,000 per year. In-house senior/supervising paralegals with seven or more years of experience will earn $56,000 to $86,500, a 3.1 percent increase from 2012. Compensation for contract administrators with four or more years of experience is projected to increase 4.1 percent, to the range of $58,750 to $104,500 annually. Lease administrators will see average base compensation increase 3.2 percent, to the range of $51,250 to $71,250. Starting salaries for law librarians are projected to rise 2.0 percent, to the range of $45,000 to $69,750 per year. To listen to a complimentary hiring and compensation trends podcast featuring highlights from the Robert Half Legal 2013 Salary Guide, visit www.roberthalflegal.com/podcasts. About the Robert Half Legal Salary Guide: The Robert Half Legal 2013 Salary Guide includes projected starting salary ranges for more than 70 legal positions. This information is derived from the thousands of full-time and project placements handled nationwide by Robert Half Legal's recruiting and staffing professionals. Continuing or ongoing salaries are not reported as many factors, such as service time and work ethic, make ongoing pay difficult to measure. Bonuses, incentives and other forms of compensation, including benefits and retirement packages, also are not taken into account. Robert Half Legal's annual Salary Guide is used extensively by law firms and corporate legal departments to determine appropriate compensation levels for employees. In addition, job seekers, academic institutions, legal associations and government agencies rely on the guide for current data on salaries and trends in the legal field. The U.S. Department of Labor's Bureau of Labor Statistics also cites the Salary Guide when compiling the Occupational Outlook Handbook. About Robert Half Legal: Robert Half Legal is the legal staffing division of Robert Half International. The company provides law firms and corporate legal departments with highly skilled professionals, including lawyers, paralegals and legal support personnel, on a project and full-time basis. With North American and global locations, Robert Half Legal also offers managed review and e-discovery services. More information, including online job search services, can be found at www.roberthalflegal.com. Paralegals: Are You Reactive or Proactive?